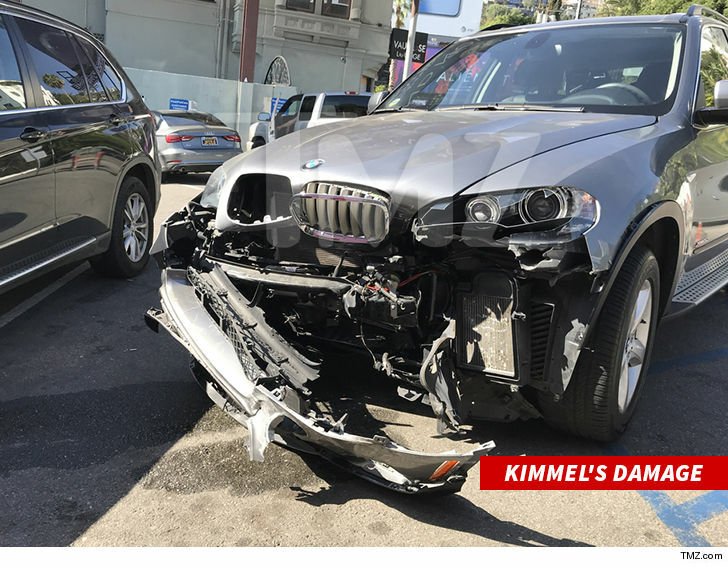 Jimmy Kimmel crashed his BMW ... as he was trying to cross traffic on the world-famous Sunset Strip. 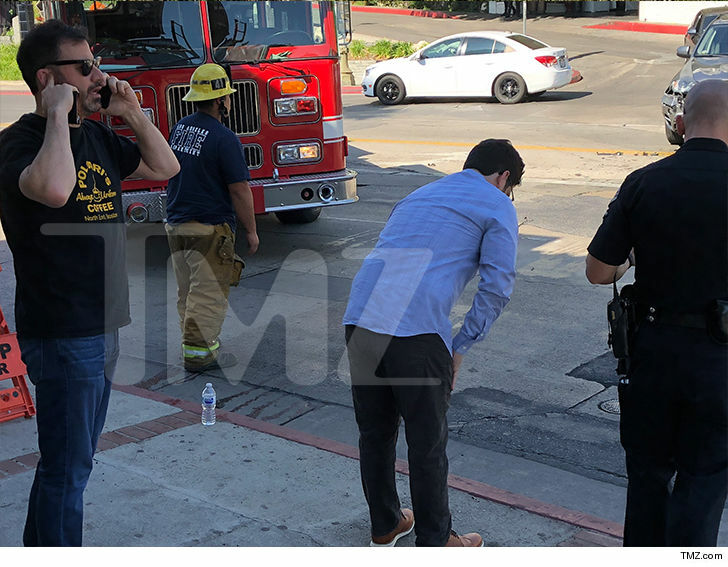 We got video from the accident scene Thursday morning ... shortly after the late-night host crashed his SUV, right in front of the Chateau Marmont Hotel in WeHo. A witness claims Jimmy was trying to make a left onto Sunset ... despite a "right turn only" sign on the intersection. 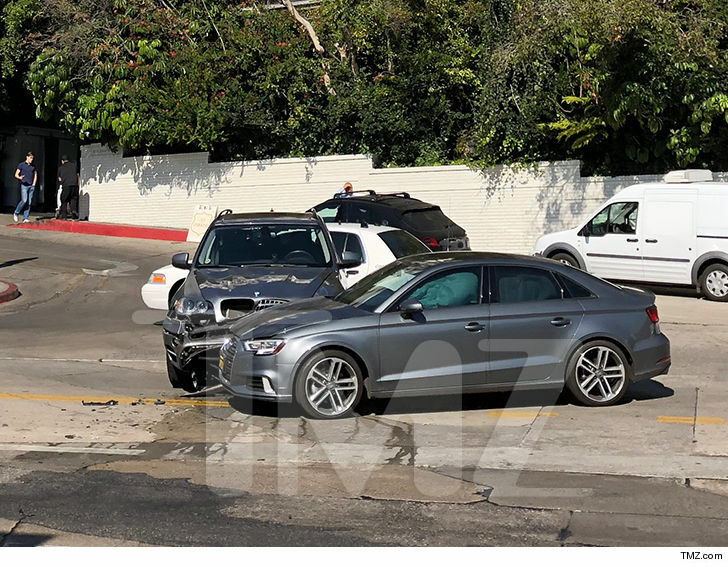 Jimmy was still on the scene ... making some calls from the sidewalk, while the driver of the other car, an Audi, stood next to him. Looks like the airbags deployed in both vehicles ... but we're told no one appeared to be hurt.